Enviroment, Health & Saftey Campaign including animation, website and printed marketing. Sandvik is a leading supplier in equipment and tools, service and technical solutions for the mining and construction industries. 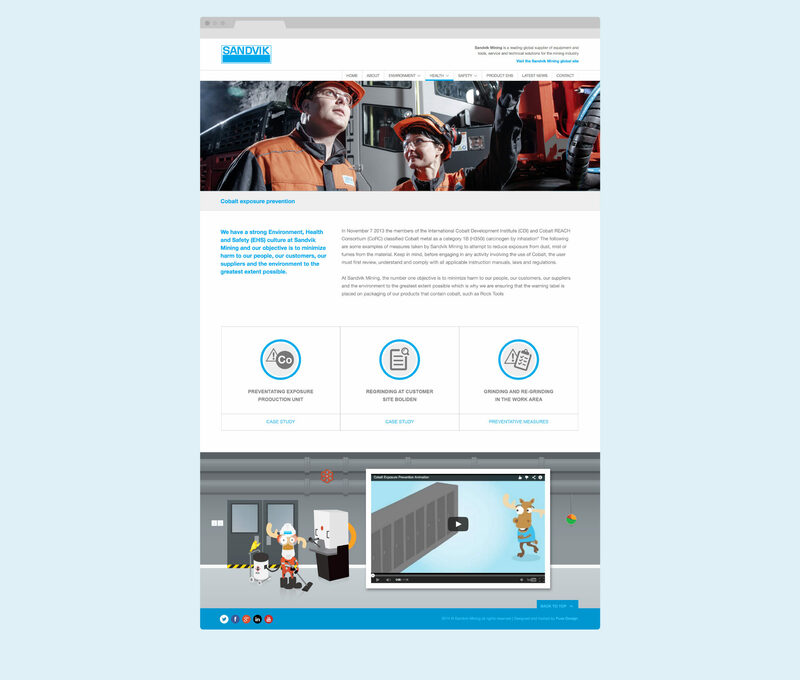 Sandvik Mining's mission was to ensure that the choices their employees and customers make with regards to both the environment and their health and safety really do count. 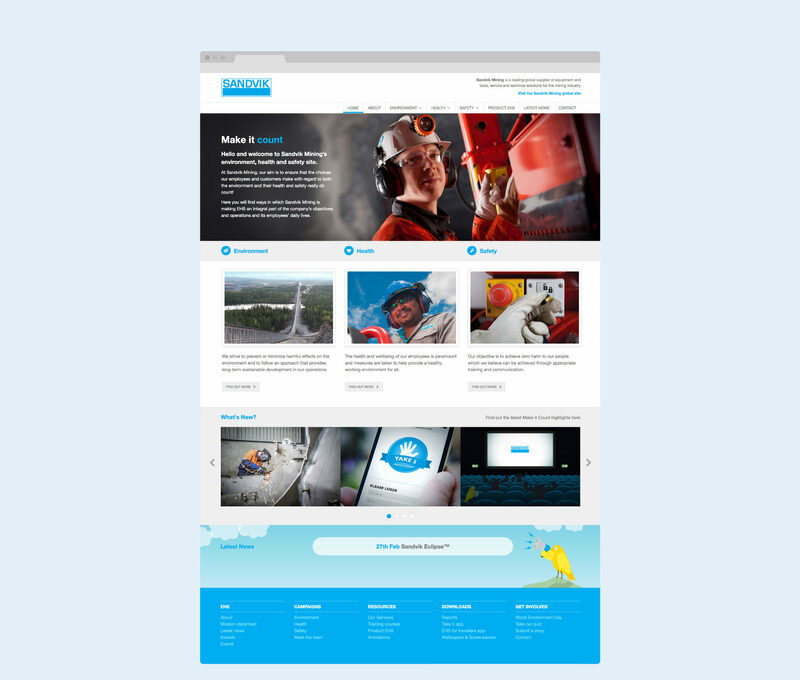 To emphasis the importance that Sandvik put on this we were asked to create 18 month global Enviroment, Health & Saftey Campaign. The scope of the project included creating the website, multiple animations, posters and various informative marketing materials. The animations involved creating the characters, the assets and story boarding the key messages.